Leesa is a relative newcomer to the mattress industry. What are Leesa mattresses? What does the company offer that makes it stand out from the competition? 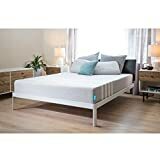 What are Leesa mattress reviews like? We’ll answer all these questions and more. ⇒How Long Does a Leesa Mattress Last? Leesa was created to make buying a mattress as simple as possible while still offering a comfortable night’s sleep. They tried to create a universal mattress that everyone could sleep on. And they sought to offer that mattress at the lowest price possible. So they removed a lot of extra features that don’t really affect performance but justified charging a higher price. They worked with an industry insider to create a basic but high performance foam mattress that serves almost everyone. Leesa mattresses are American made and of the highest quality. The company is proud of its social impact program. They seek to use the company to improve the planet and the human community. They support their local community, the area around the headquarters. They plant trees. And they donate Leesa mattresses to various charities. Later additions to their product line include the Sapira mattress, bed foundations, conventional pillows, hybrid pillows and blankets. You don’t have to use a Leesa foundation with the Leesa mattress. You can put the mattress on any slatted foundation (assuming the mattress doesn’t sag through) or solid foundation. They recommend solid foundations. What type of mattress is a Leesa mattress? It is a state of the art multi-layer foam mattress. One of the benefits of a foam mattress for an initially online-only retailer was the ability to compress it, box it and ship it to your home. Leesa mattresses contain several layers of memory foam; this is why their mattresses have a slight chemical odor for the first few days. Every layer except the outer cover is a CertiPUR-US foam. These foams are made without heavy metals, PBDE flame retardants, formaldehyde, phthalates, or ozone depleters. This mattress won’t release toxic volatile organic chemicals into the air for weeks as it loses its chemical smell. However, we can’t tell you exactly what is in the proprietary memory foams that go into a Leesa mattress. The Leesa mattress has several layers. The layers provide a mix of strength so you don’t sink in too deep and memory foam pressure relief so that you don’t awaken with painful pressure points in the morning. The memory foam has a mix of layers to retain body heat but distribute it so that you don’t overheat in the mattress, eliminating a common reason people abandon memory foam mattresses. The layers also minimize bounce so that one person on the bed can toss and turn without shaking the entire bed. The top 2” of the Leesa mattress is made from Avena foam. This layer is hypoallergenic, making Leesa mattresses safe for those who’d have an allergic reaction to a latex foam mattress. This layer provides freedom of movement and don’t retain too much body heat due to its convoluted shape. The next 2” layer of the mattress is made of body contouring foam that doesn’t create pressure points. It has a lower density and indentation force defection. You can sink into this layer but not too far. The third layer is the “core support” layer. That inner layer is a six inch, rather solid base of dense memory foam. This prevents people from sinking too far into the bed and provides moderately firm support without feeling too firm. The entire mattress is about 10” thick. All three of these layers are contained within a four stripe cover. That cover consists of a fire retardant sock, though the actual materials used are proprietary. It is comfortable to sleep on, and it is one of the most fire-retardant fabrics on the market. Because of the outer layer is nearly fire-proof, they don’t have to treat the mattress cover with other chemicals to meet fire safety regulations like 16 CFR Part 1633. Consumer Reports ranked the Leesa mattress as better than average in terms of stabilization. This refers to how much disturbance is propagated through the mattress to another sleeper. If one partner tosses and turns, it may affect the other side of the bed somewhat but not nearly as bad as some other mattresses. Compare this to some mattresses where one person could in theory jump on the bed and hardly affect the other person. One fact many overlook is the weight limit of the Leesa mattress. It is designed to support people up to 300 pounds. If you are close to that weight limit, you probably won’t be comfortable on it. If you weigh 280 pounds, you may be comfortable if you sleep on your side but will not be comfortable if you’re a back sleeper. The Leesa medium firm mattress was rated a 5 in firmness by Consumer Reports. Their tests found this mattress better than average for side sleepers of all sizes, but interestingly, the mattress performed average to below average for back sleepers. 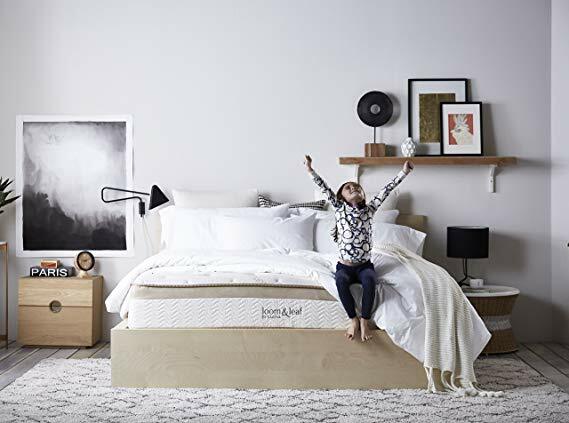 The medium firmness Leesa mattress came in 32nd in the foam mattress ratings by Consumer Reports in 2018. They scored 68 out of 100. In comparison, the best rated foam mattress rated by Consumer Reports received a score of 81 out of 100. Their Leesa mattress review in the middle of the list of foam mattresses they reviewed. It performed worse than average for large and tall back sleepers. They rated it a little better than average for small and petite side sleeper, but it was middling for petite back sleepers. The Leesa mattress ranked well above the baseline for average sized back or side sleepers. For large and tall side sleepers, it truly came in average or neutral in Consumer Reports’ tests. Leesa mattresses are available in a variety of sizes. They offer both twin and twin XL mattresses. They have full sized and queen mattresses at a reasonable price. They offer both king mattresses and California king mattresses. Unlike some mattress manufacturers, they don’t sell crib mattresses or pet mattresses. How Long Does a Leesa Mattress Last? Leesa mattresses can be in the box up to thirty days after the date the order is placed before it is warped. Sapira mattresses can stay in the box for up to sixty days. Note that your 100 night trial is ticking down though you’ve left it in the box. Consumer Reports rated Leesa mattresses as better than average on durability. They easily last for years. The challenge is estimating how long they’ll last, since the company itself was founded in 2014. They haven’t been used for ten years, so we can’t guarantee that they’ll last that long. However, between their warranty and Consumer Reports testing, it is starting to look like they will. Leesa has an astoundingly generous warranty. They offer a 100 night risk free warranty. If you aren’t satisfied, you can send it back. What happens once that hundred night trial is over? Then you have a ten year limited warranty on the mattresses. The limited warranty covers greater than expected deterioration of the mattress. For example, indentation of greater than one inch within a reasonable period of time would fall under the warranty. The caveat to this is that the owner had to have a proper, supportive foundation or base under the mattress. This could be a box foundation, platform, Bunkie board from a traditional box spring, or a slated base given the slats are close enough and strong enough. For example, the slats should have no give and be no more than three inches apart. If you had the mattress on an insufficient frame, the warranty doesn’t apply. If the mattress was on a frame too small for it, they aren’t liable for its sagging over the sides. Physical flaws in the craftsmanship that cause permanent damage to the memory foam despite correct set up and normal use is covered by the warranty. One caveat here is “normal use”. If you’re jumping on the bed or overloading it, the warranty won’t apply. If the cover is found to have flaws, the company may simply repair or replace the cover instead of replacing the entire mattress. They’ll replace the cover with a cover they have in stock that is as close to the original as possible but may be a different color. This may mean that the new cover is of a different color than the original. If there is a defect found that is covered by the warranty, Leesa will either repair it or replace your mattress. There is no deductible on this warranty, but if the repair cost is too high, they’ll simply replace the mattress. However, if they have to replace the mattress, the customer may be charged for the delivery of the replacement mattress. The warranty does not apply to mattresses shipped outside of the United States, United Kingdom or Canada. Leesa does not sell the foundations, frames or blankets outside of the United States, because they don’t want to pay for the items’ return if the customer is unsatisfied. The warranty is also void if it leaves the country it was purchased in. For example, if you bought it from a U.S. store and take it to Canada, your warranty is void. The warranty is only available to the original buyer. The warranty will not transfer to a secondary purchaser. If you buy a Leesa mattress used, you’re getting it as-is. The warranty doesn’t address tears, stains, burns or soiling. They don’t have to replace the cover if a family member or pet has an accident. The warranty doesn’t apply if you decide the mattress is too firm or soft after you’ve slept on it for three months. If your mattress is replaced by Leesa, the warranty on the replacement is a continuation of the original warranty. This means that if you bought the mattress a year ago and had it replaced, the new replacement mattress has nine years left on its warranty, not ten years. The only exception to this is if you choose to upgrade to a higher end product when they offer to replace the mattress (going from a Leesa to a Sapira). In that case, a new warranty is issued on the new, upgraded product. Then you have a ten year warranty on the new Sapira mattress. Note that all of the above is regarding the Leesa mattress or other mattresses by Leesa. If you buy the bed foundation from Leesa, it only has a five year limited warranty. That warranty is only available if you buy the foundation from Leesa or their authorized retailers. Again, the warranty is void if you take it out of the country you bought it in or sell the item at a later date. The warranty for the Leesa foundation doesn’t apply if you didn’t have a proper bed frame, put the foundation directly on the floor, stained or damaged it through use and abuse or replaced any part of the Leesa foundation with a piece by another company. Leesa pillows have a three year limited warranty based on the date you bought it. Note that you have to file a claim with Leesa for them to do any warranty repairs or replacements of the product. The first rule for saving money with Leesa is buying the Leesa mattress instead of the Sapira mattress. The Sapira mattress costs almost twice as much as a Leesa mattress. Leesa offers a number of discount codes. Discount codes are found across a wide array of coupon sites. You can find coupon codes and discounts on Leesa mattresses when buying through online retailers. You can often find discounts up to 20% off, and free shipping is regularly available. Note that you may not be able to combine deals like 20% off and free shipping in one order. Shipping is generally free if you opt for UPS ground within the United States. If you want the mattress faster or you’re buying through a third party website, you may have to pay for shipping, and coupon codes offset that expense. Leesa offers very cheap financing for their mattresses. They sometimes have financing as low as 0% interest rates. This requires being pre-qualified and then taking out a loan with “Affirm”. However, Leesa discount codes are not allowed if you pay with Affirm. Mattress recycling fees charged by states like Rhode Island and California are rarely waived. These fees are mandated by the state. You’ll generally be charged this fee if you’re buying the mattress in a state where it is required even if you aren’t getting rid of your old mattress right now. If you’re having your old mattress hauled off, that’s generally an extra expense. Depending on the website or service you use, you may be able to get the fee for the removal of the old mattress waived. Note that they still have to earn a profit, so free hauling off of the old mattress may mean you’re not getting a different discount somewhere else. Leesa’s “White Glove Delivery” is a service they charge extra for. They don’t just deliver the mattress. They’ll set up the bed frame and/or foundation, set up the mattress, and remove the packaging you don’t want (like hauling off the box). Pay a little bit more, and they’ll haul off your old mattress and box spring, though that has to happen at the same time they’re setting up the new mattress. Depending on when and where you get the mattress, you may be able to find a discount on the White Glove Delivery service or get that premium level of service in exchange for a particularly large order. For the first few years of the company’s existence, you could only buy their mattresses online. In order to make people more comfortable with such an expensive purchase, much less the fact that you couldn’t bounce on it to see if you liked it, they tried to make the purchase completely risk free. This is why they have a no-hassle, full refund policy for a full hundred nights. This is one of the longest trial periods on the market. It also ensures that someone whose order takes a week or two to arrive can still return it if they’re unhappy with it after it has fully decompressed. The company suggests trying it out for at least 30 nights. If you’re unhappy, email them or call them to arrange a pickup of the mattress or foundation. Mattress returns are free unless you live in Hawaii or Alaska. The hundred night trial is available whether you buy online or through stores like Pottery Barn and West Elm. If you bought through these brick and mortar retailers, you’d need to send an email to the retailername@leesa.com or call the customer service line specific to that retailer for Leesa customers to arrange the pickup of your mattress. After Leesa confirms the mattress has been picked up, they’ll arrange for the brick and mortar retailer to refund your purchase price. If the order included a gift, such as a free pillow in addition to the mattress, they’ll only refund the amount you paid less the value of the gift unless you return the gift, too. So if you got a pillow and mattress, you have to return both to get your refund in full. There is no refund on extra services like White Glove Delivery. Mattresses and foundations don’t have to be put in the original box to be returned, because they won’t fit once decompressed. The only exception to this is pillows and blankets. If you want to return these Leesa items, contact them. They’ll send you a UPS pre-paid label so you can ship the items back to them at no charge to you. Blankets must be returned within 30 days. This is a company that takes care of its customers. If you’re unhappy with any Leesa item, they make returns relatively painless and cheap (or free). If you bought their items through a third party retailer like Pottery Barn, they have hotlines just for you, their customer. The mattress itself is one of the most fire-resistant on the market, and it achieves this and its high level of comfort with minimal chemicals. The Leesa mattress doesn’t pose a risk to anyone with allergies. The Leesa mattress is one of the few moderately priced foam mattresses that won’t leave you sweltering from your own body heat, but it achieves this without complex geometries that multiply the cost of the mattress. The mattress itself is far cheaper than luxury brand rivals, and their additional premium services are reasonably priced. Leesa mattresses provide excellent support for side sleepers. It lets your spine keep its proper alignment while preventing pressure points. The downside of Leesa mattresses is that it doesn’t carry this high quality support to back sleepers. A minor annoyance with White Glove Delivery is that they can say they’ll be there on a specific day but not a specific time window. The mattress is somewhat better than cheap Chinese memory foam beds. The price you pay is in part for far safer materials. If you are a side sleeper and within the product’s weight limits, you’ll be happy with this affordable foam mattress. If you’re a back sleeper, the odds are that you won’t like this mattress. If you’re very large, tall or heavy, this is not the right mattress for you. Leesa mattresses were initially offered only online as a way to save money. If you only sell items online, you can run everything out of a cheap warehouse, reducing overhead costs. You can service an entire country without setting up expensive retail storefronts. This allowed Leesa to scale up without having to expand retail operations and rely on online marketing and word of mouth to grow. You can still buy Leesa mattresses at Leesa.com. However, they’ve partnered with West Elm to sell their mattresses. This allows them to sell Leesa mattresses through an existing, nationwide furniture chain without having to set up their own storefronts. West Elm even has stores in often overlooked states like Wyoming and stores outside of the continental US. This lets you buy a Leesa mattress in Hawaii without paying the incredibly high shipping charges. Pottery Barn is another widespread chain where you can buy Leesa mattresses. Pottery Barn locations offering Leesa mattresses exist on both coasts and Texas, but there aren’t as many options inland except Illinois and Minnesota. Another best option is buying Leesa mattresses through online retailers like Amazon. They ship anywhere, and they offer a number of discounts and deals on Leesa mattresses.